I bought the Rancilio Silvia 1v/2v wand over the V3 wand because it was smaller in diameter. I initially planed to drill a hole and pipe it to the boiler but the wand was about the same size in diameter (6.00mm) as the original. It was much easier to just swap it out rather then drilling and pipping it to the boiler. The only modification I had to do was widen the hole on the plastic wand guide holder. I did this with a hot screwdriver to fit the new wand through. Other than that it was a straight swap with Delonghi wand. 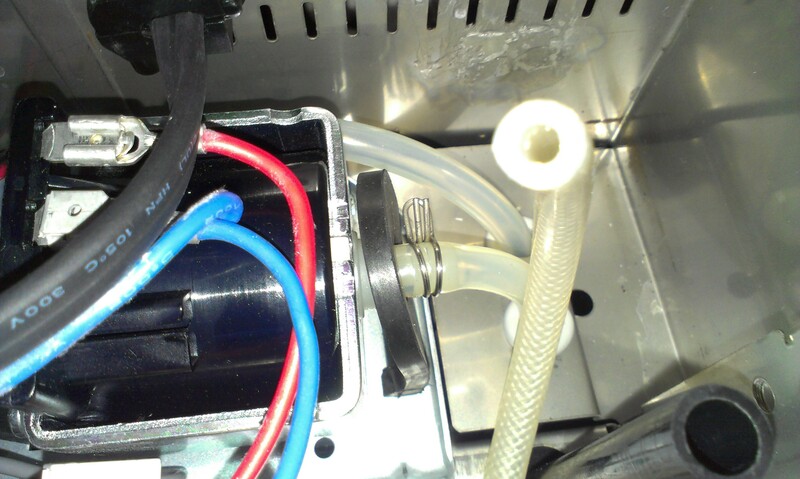 It does hang over the side about a 1/2″ more and nowhere near the drip tray. Update 11/2017! 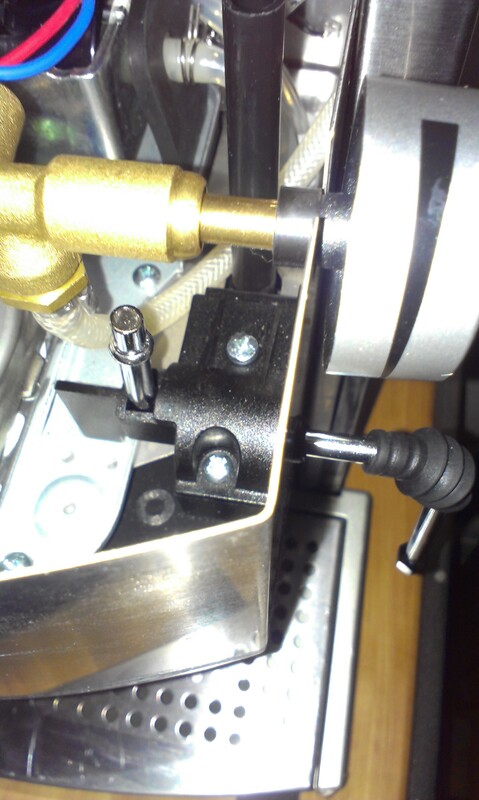 The Rancilio v1/v2 wand (old version) is being phased out. 7-8.7mm PEX Cinch clamp / Oetiker ear clamp. — *Best, OEM Style. 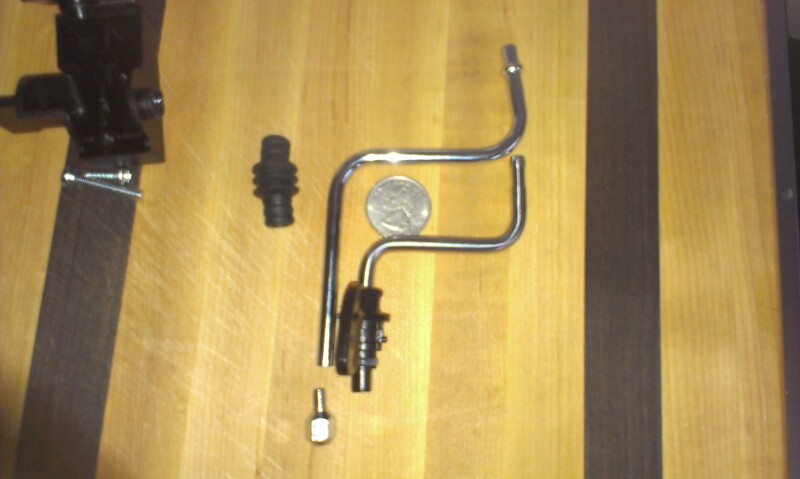 *If you use an Oetiker or PEX ear clamp you will need a Side Jaw Pincer or PEX Cinch tool. Big flat head screwdriver or 9/32 drill bit ? — Something to widen the hole. 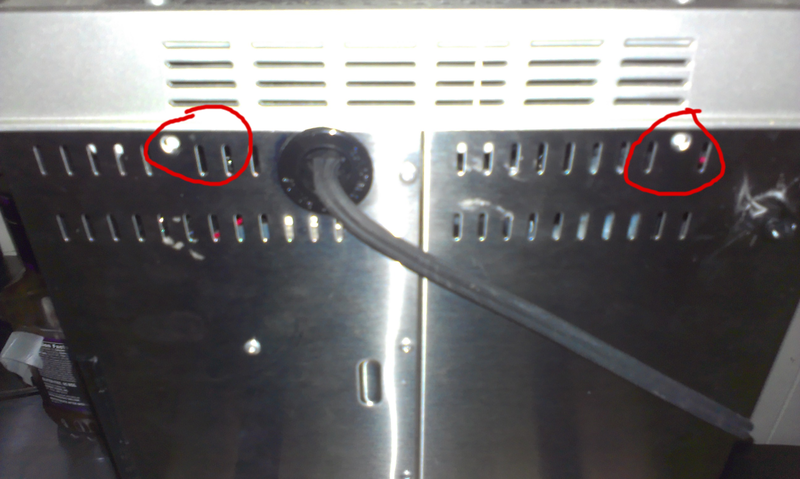 Two screws in the back and 3 security-torx heads on the bottom cover. Lift it straight up. 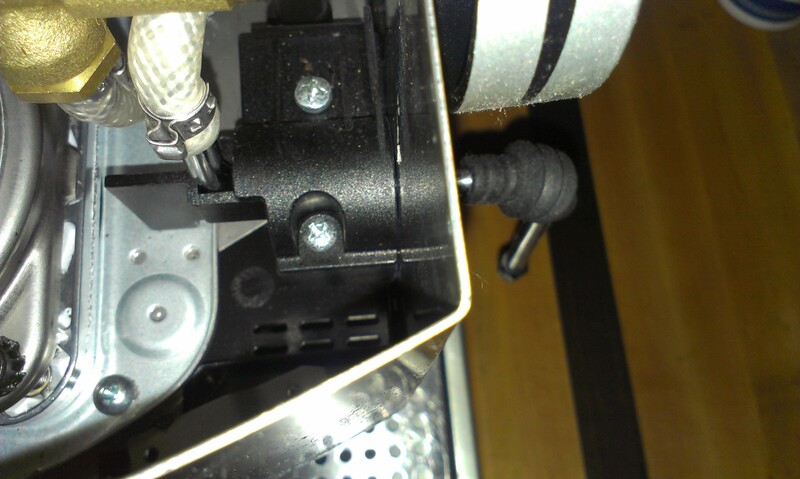 security torx screws are used on the bottom cover. 2 Phillips screws and 2 clips. Insert a small screwdriver to release the clips. Be careful when removing or you will snap them off, like I did. Undo the screw in the back first. This screw has a nut, the nut is on the bottom under the steel plate. It’ll drop down when unscrewing. Put your hand under there and grab it. 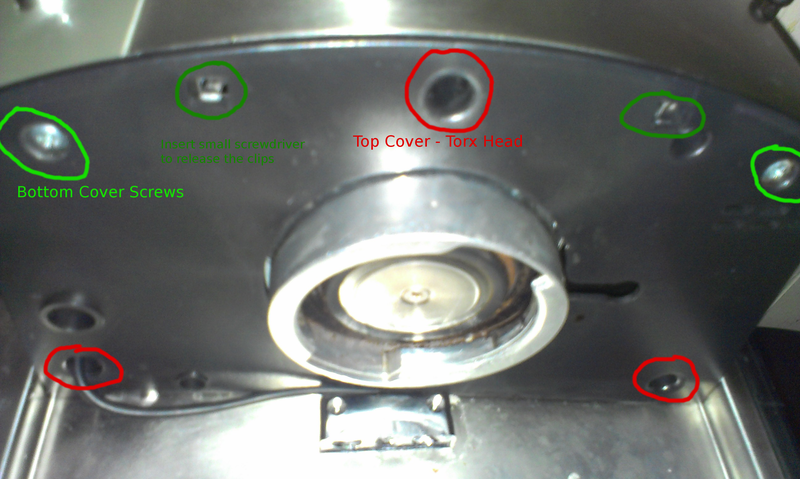 The other screw just holds the the top closed. Now you can cut the hose, cut it close as possible to the wand or pry the old clamp off. After removal of the wand guide. Notice the bottom cover is still installed. I had to remove it to retrieve the nut. The next problem is the new wand has that nub at the end and it will not fit through the hole on the plastic wand guide. What I did was heat up the tip of a screwdriver and just rounded it out a bit or you could drill it with a 9/32 drill bit? I then fed the new wand in and attached the hose and clamp. 7 – 8.7mm Oetiker ear clamp. Hangs over the side a bit more. I reassembled it but I left the top off to test it for leaks. Oetiker Ear Clamp Jaw Pincer. Wonderful! Have you noticed a difference now that you have swapped them? I have the ec702 and I’m not a fan of the wand-I was hoping to get a wand that wouldn’t require me to sit and hold the milk canister the entire time I’m steaming it. With the new wand you installed do you still have hold the milk or can you set it down and let it steam? Yes, I’ve seen a big improvement but I still have to hold the pitcher. The rancilio wand really concentrates the steam and it’s easy to scorch the milk if your hand is not on the pitcher. With the new wand the milks inflates in about 10 sec. and about another 10-15 sec. to heat the milk. It takes some practice but once you get it right you can do latte art. Hi! Great tutorial – Thanks for sharing. I was hoping you could help me out with the same mod on an EC271.B. I have tried to open it up which was a challenge in its self! The original wand seems to be tucked away and I can’t figure out how to remove it without breaking anything. I have attached a few images, if you could shed any light on how it can be made possible (if at all) that would be awesome – I’m desperate to get rid of this awful pannarello wand and perfect my flat whites! Part #72 (535733) on that page looks like it’s held in by a C-clip. Part #72 seams to be the same part used on the ec155. The EC155 Part #37 (535733) by the looks of it the ec270 uses a C-clip and the ec155 doesn’t, hmm? 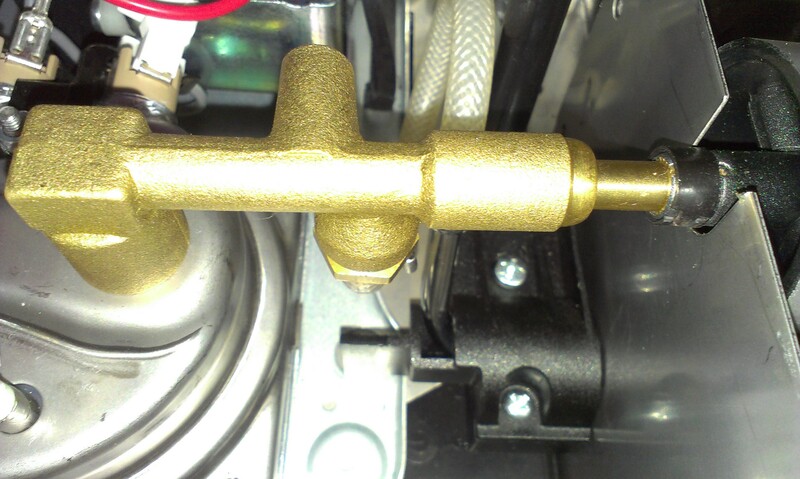 If it is the same on your machine the ec271.b you should be able to undo the C-clip and pull out the old wand. I would use a flathead screw driver and remove the C-clip and then clamp a vise-grip to the wand and yank it out from the bottom. Research the ec155 wand mods. 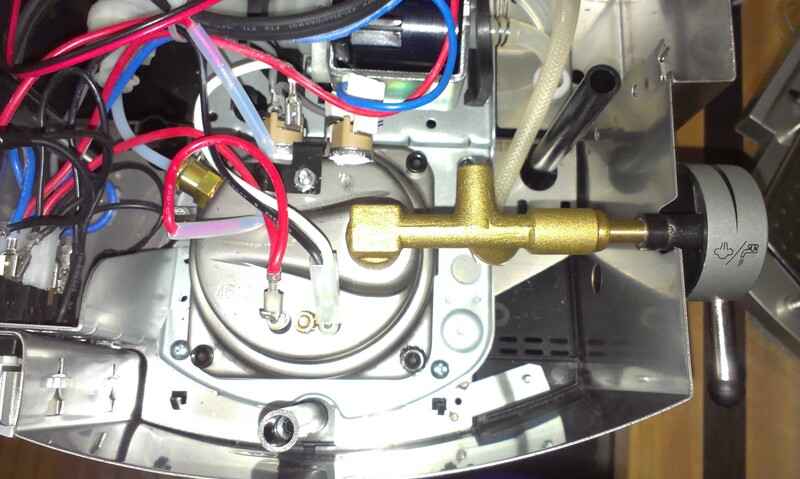 Here’s a youtube video of the ec155 Delonghi EC 155 Espresso maker steam wand replacement He uses a butter knife of all things to remove it. lol. Good luck and sorry for such a late reply. Quick edit(dead links)and an update, I would first try to remove the old wand without removing the C-clip and if it won’t come out then remove th C-clip. The C-clip can be found at any hardware store if you need it on the new wand. Is this work for EC 680 dedica? Since I would like to dissemble it and see if I can do the same thing to make better frother.